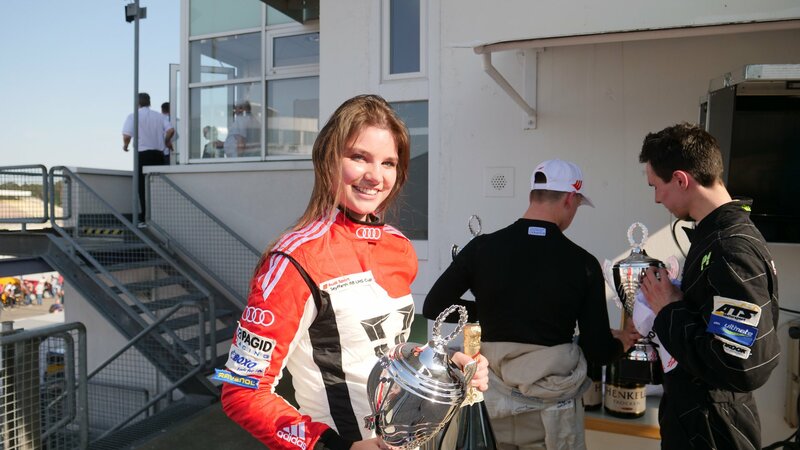 Vivien Keszthelyi celebrated two times on the podium after she finished third both on the first and second race at the opening weekend of Audi R8 LMS European series. The 17-year-old driver who made a big step forward by competing with rear-wheel drive cars this year could prove on the first weekend of the DTM in the newly launched series, which has two full qualifiers and two races running at every venue. Vivien was fourth and fifth on the first and the second free practice. On Saturday’s first qualifying round, the member of Audi Sport Racing Academy seemed to beable to find the right settings as she managed to drive the fourth fastest time by finishing just a half second behind the pole. The opening race of the championship was extremely exciting, Vivien battled with her Polish rival, finally the chckered flag hailed her on the third place. She started the second race from the fifth place, finished also third. This race prompted the pilots to stay fast and avoid a sudden deceleration or a possible defect due to premature tires. “Two times P3 on the first race weekend is a great pleasure for me. Standing on the podium is unbelievable: it’s a good feedback that hard work has its result and I’m on the best way to achieve my goals. I’m grateful to my team, my partners and last but not least to the fans for the support, and also the doubters who always motivate me to work even harder” – said Vivien, who is the third in the championship with 26 points. The series will continue at Lausitzring in two weeks, then visits the Hungaroring in early June.